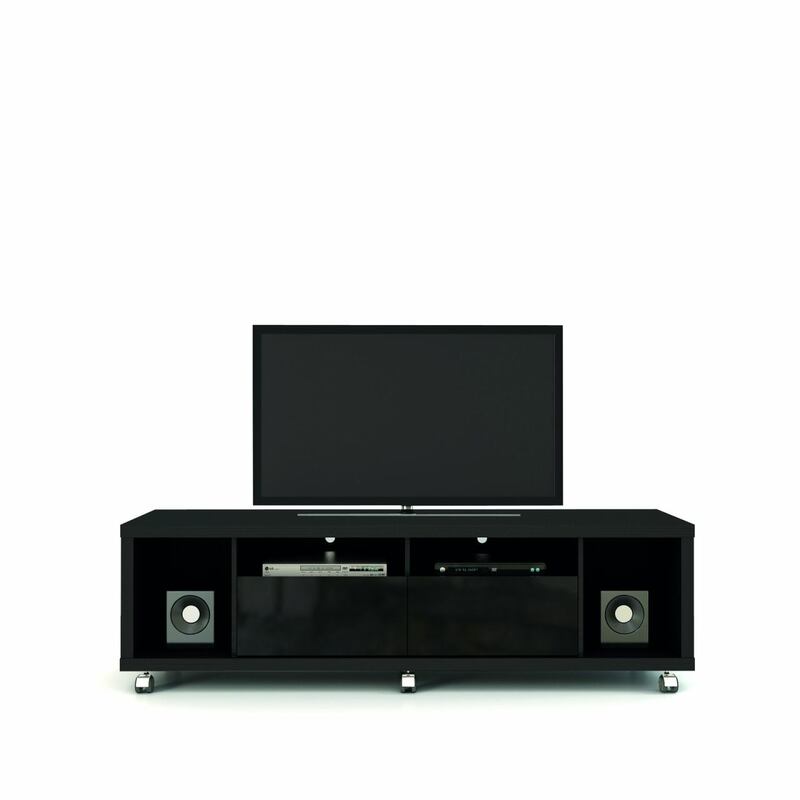 The Cabrini 1.8 TV Stand is lightweight and compact, and will easily fit into any small living room space. With 2 deep side cubbyholes perfect for your speakers, 2 shelves and 2 sliding drawers, the Cabrini 1.8 TV Stand has everything you need in one convenient place. No heavy lifting is required, thanks to the sleek wheels allowing silent and easy maneuvering. The Cabrini 1.8 TV Stand will shine on its own, or it can be paired with one of our TV panels to easily mount your TV to the wall for better viewing.